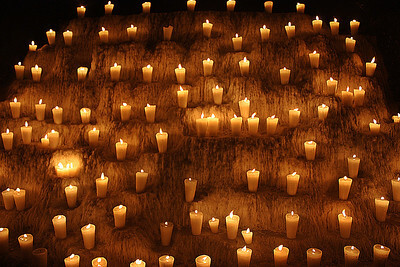 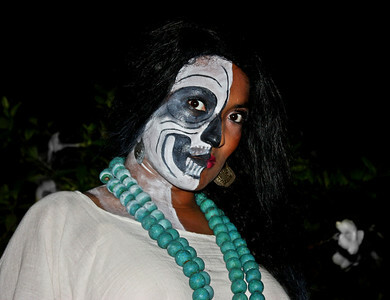 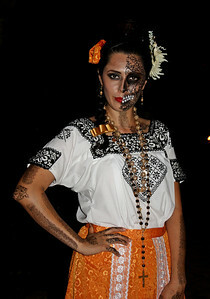 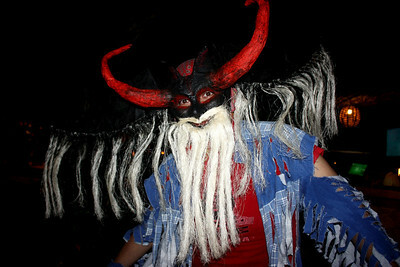 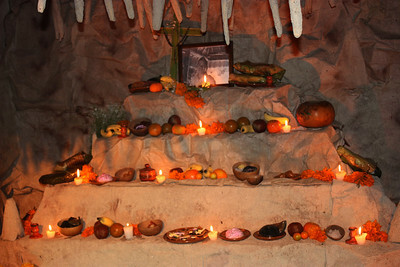 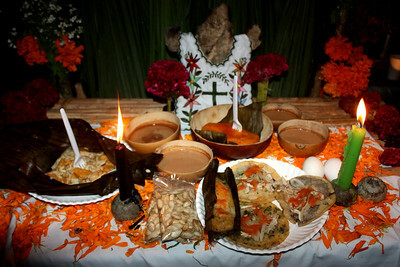 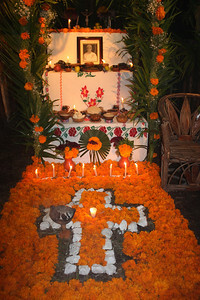 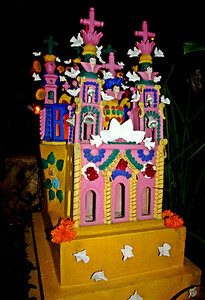 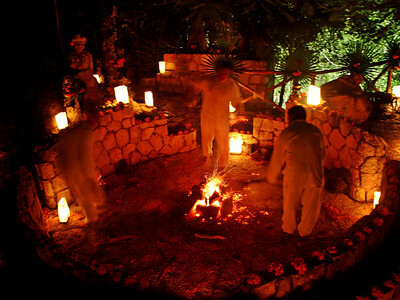 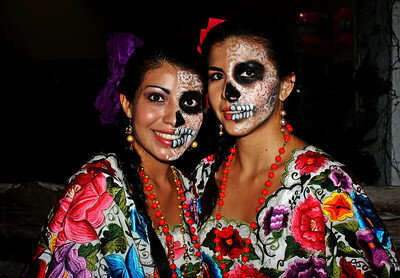 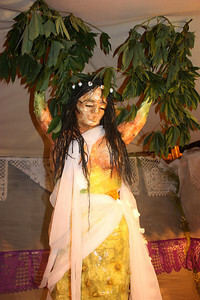 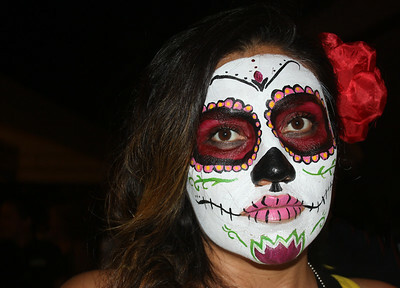 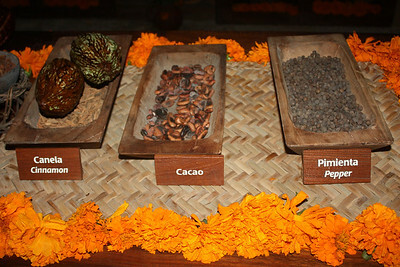 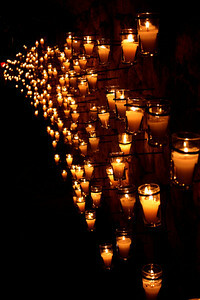 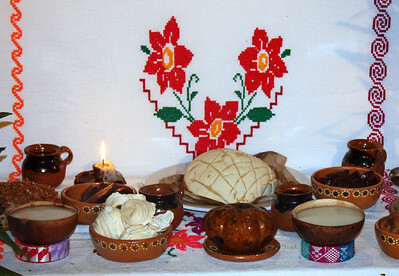 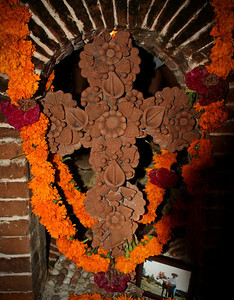 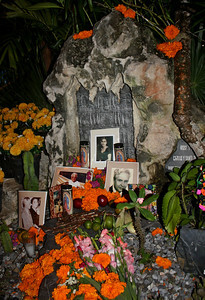 Day of the Dead celebrations at Xcaret Park near Playa del Carmen, Mexico. 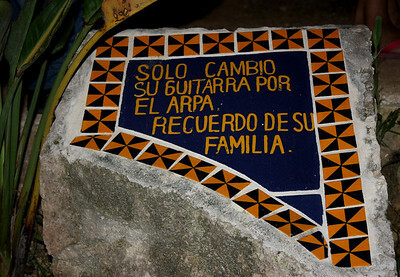 (Rough)Translation: Xcaret is a place to enjoy, for those that are buried here, the merriment will never end. 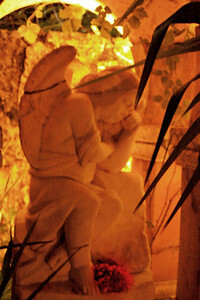 Final 'resting place'. 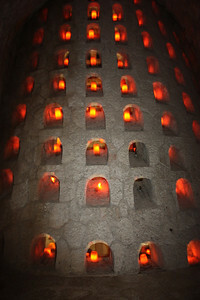 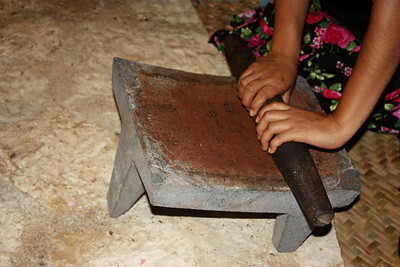 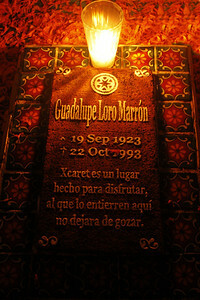 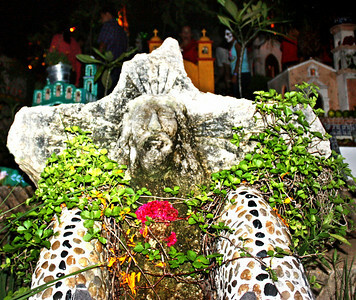 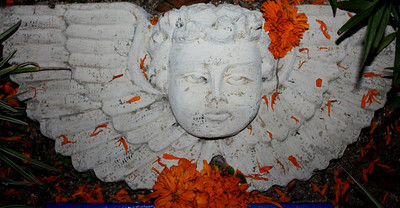 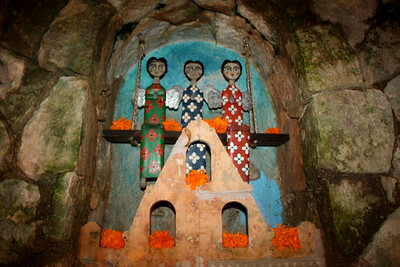 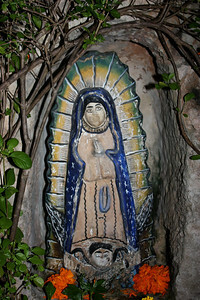 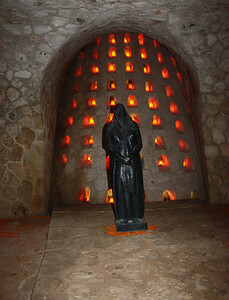 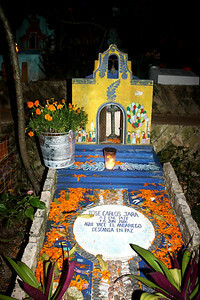 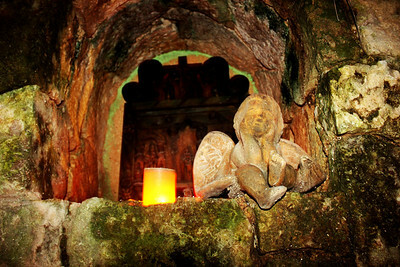 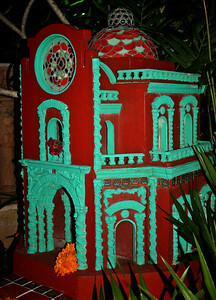 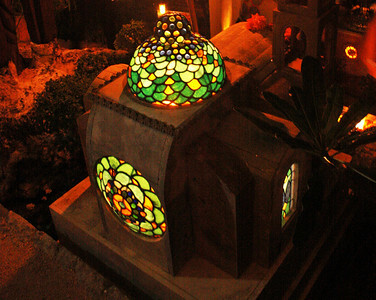 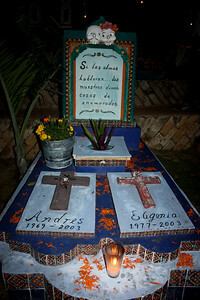 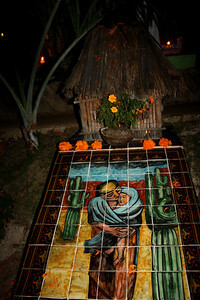 Xcaret's mock cemetery is full of unique grave sites, . 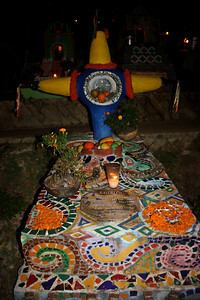 Beautiful grave marker in Xcaret's moch cemetary. 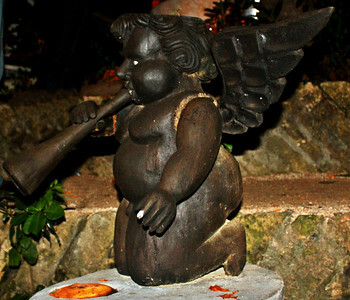 Grave Marker: He just exchanged his guitar for a harp. 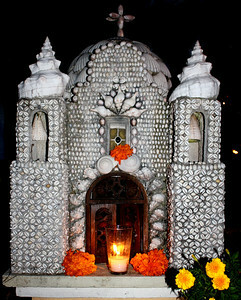 Beautiful headstone made of seashells. 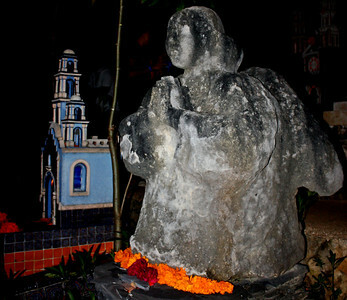 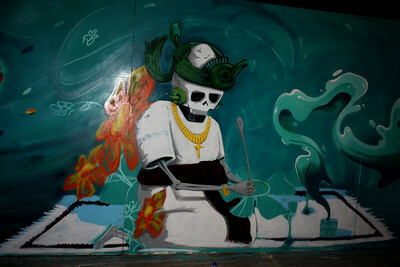 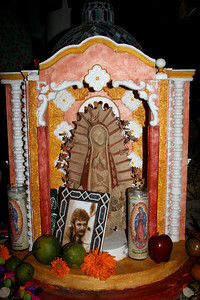 Lady Guadalupe watching over the dead. 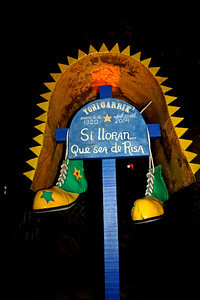 Clown's headstone: (Rough) translation: Let your tears be only from laughter. 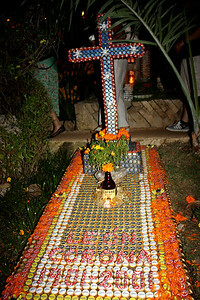 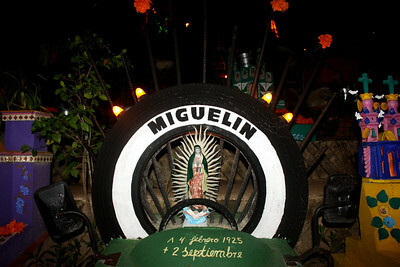 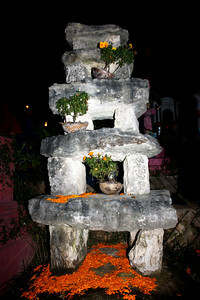 Grave made from recycled bottle caps. 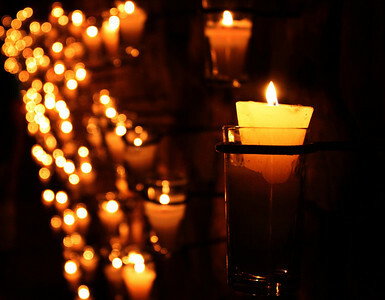 If soul's could talk, ours would say things of those in love. 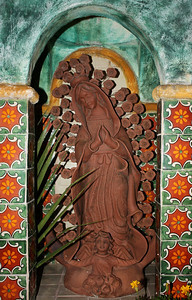 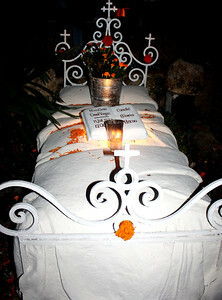 Grave for a woman named Libertad (freedom). 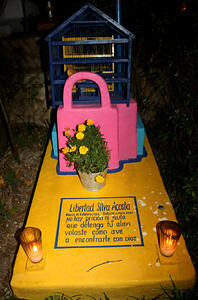 "There is nor prison nor cage that can hold your soul. 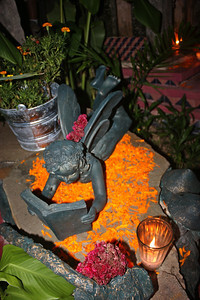 You flew like a bird to find yourself with God."